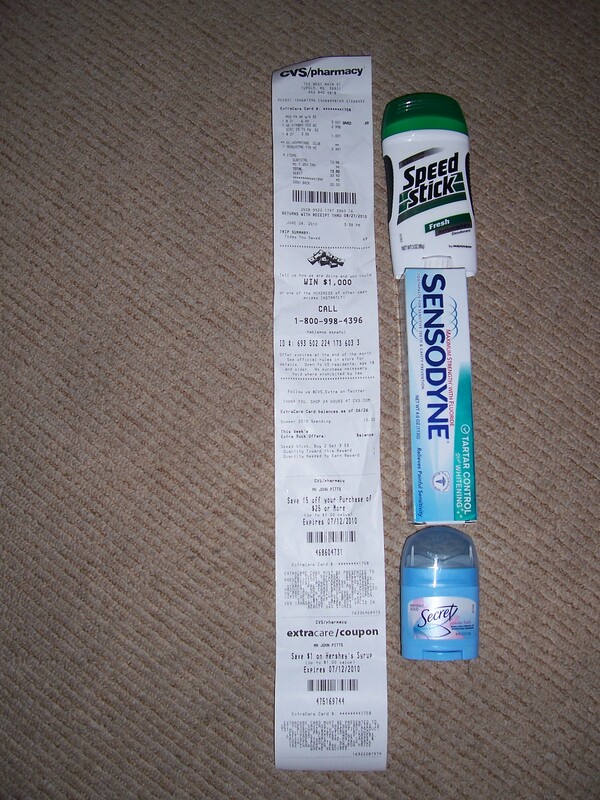 Something's gotta be wrong when the receipt is bigger than what you actually bought. This entry was posted in bathrooms, family, shopping and tagged budgets, drugstores, families, family budgeting, shopping by Coffee with Cathy. Bookmark the permalink. They killed a bunch of tree on that one. Michele — You are so right! I really felt guilty, but then we really needed deodorant and toothpaste, so what are ya gonna do??? We get the same, only more so. The folks who previously had our phone number have a CVS card. So I am forever getting their “bonus bucks.” Haven’t tried to use any of them since you have to show your CVS card and, of course I don’t have one. Please tell people that I do not use “Fresh” scent Speed Stick. You took that stinky thing back and got the “Regular” scent for me instead. JP — Hahahaha! You are so right — I forgot that I had to make a return trip. Connie, that sounds frustrating. At some CVS stores, the employees go ahead and scan a card to give you the discount. I think it’s interesting that when the clerks ask you if you have a card and you say “no,” the clerks never follow up and ask if you’d like one. It’s like there’s a secret CVS-card society! What’s up with that??? ?